We’ve all had that moment when you wanted to refer to an email and couldn’t remember where it was. All you had was a vague idea of what the email might contain. Situations like these made using Pipedrive as your email interface pretty rough. 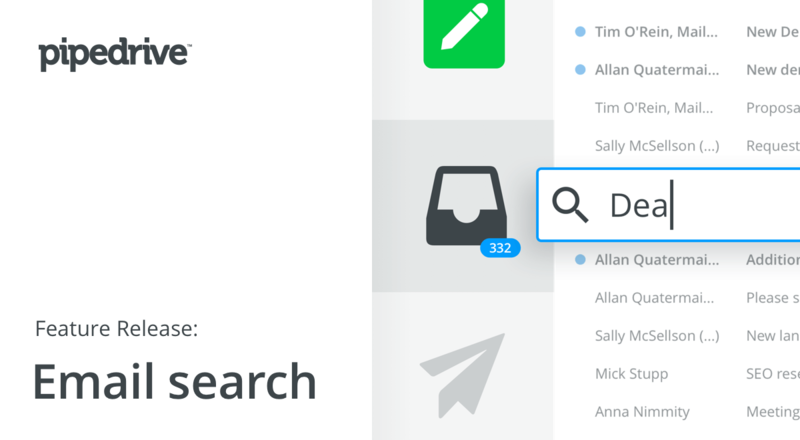 In our continued efforts to improve your experience with Pipedrive, we’ve added the ability to search emails. We recently released email filters to help with this very issue and now we’ve just added email search to make it even easier. In basic terms, email filters lets you find a group of emails along a similar theme, helping you organize your correspondence. This search update is there to help you find a specific email, the proverbial needle in the haystack. 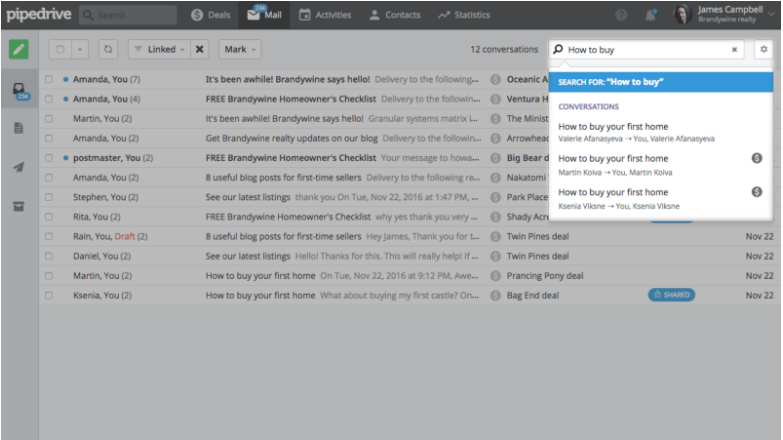 Simply type any keyword in the search field and Pipedrive will sift through your email folders. At this juncture, it is important to note that the body of the email will not be searched. Let’s use a practical, everyday example. You received an updated version of a contract or agreement a few months ago and you need to share this with your potential customers. The new paperwork was sent by your company lawyer, who is not attached to any deal and is not even in your Pipedrive contact list. When you need to find this email again, you can physically go through your inbox, hoping you remembered the date of receiving the email, or you can simply search for it. It is important to note that you can only search through your inbox/archive/sent folders since it's a Mail page search. Emails that other team members shared with you only appear in the details view of contacts or deals, so they are not searchable. We thought about making users search for the update but that seemed cruel so we decided to roll this out to all users automatically.